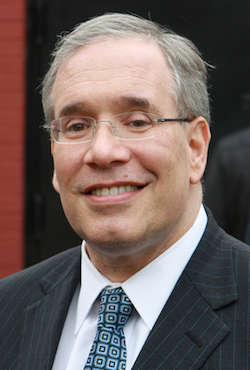 The following is by City Comptroller Scott Stringer. For years, New York City transit riders have received nothing but lumps of coal in their holiday stockings. Buses and trains running slow and behind schedule. Paltry service in the early mornings, late evenings, and weekends. Decaying infrastructure. And construction projects that are perennially over-time and over-budget. Surely riders deserve something shiny and new this year, right? Sorry kids — instead, the Grinches at the MTA are set to double down on coal, with fare hikes, reduced service, and a ballooning budget deficit all on deck. First, we need to increase subway and bus service in peak and off-peak hours – not reduce it! Coupling fare hikes with service cuts, as is planned, is a sure-fire way to repel riders and send the MTA into a death spiral. The MTA needs to recognize that the city’s fastest growing industries – healthcare, food services, arts and entertainment, accommodations – largely operate outside of the nine-to-five workday, and they need to align our transit system to that reality. Moreover, as Albany inches closer to congestion pricing, we need to be offering commuters in the Bronx, Queens, Brooklyn, and Staten Island real transit alternatives, not reduced service. Otherwise, they’ll have little incentive to leave their cars at home and congestion pricing will fail. That’s why, for this holiday season, we need a big, bold, five-borough transit plan that makes public transit the smart, most efficient option. This should include major upgrades to our bus system, like better integrated, enforced and designed bus lanes, more bus shelters, all-door boarding, and Transit Signal Priority at traffic lights. Next, we need to “open up” the 38 Metro-North and LIRR stations in the Bronx, Queens, and Brooklyn, which are currently locked behind a steep paywall and, more often than not, bypassed by commuter rail trains. These rail lines are hiding in plain sight, and the MTA needs to cut fares for in-city trips and increase service at each of these stations. At the same time, we need to make our subway and commuter rail stations more accessible to the elderly, young families, and the disabled. There are currently 62 neighborhoods in the city that have subways but not a single accessible station, which effectively locks out over 600,000 mobility-impaired residents. That must change! Finally, we need a stable, robust funding stream for the MTA. Congestion Pricing must be prioritized this session, but looking forward, we should also draw from the important work of the MTA Sustainability Advisory Workgroup and consider important recommendations related to cruising charges on for-hire vehicles, MTA air rights, and real estate taxes. Here’s wishing everyone a happy holidays, a joyous New Year, and a transit system worthy of the greatest city in the world. We need more pension funding for all in the increases Stringer voted for while he was in the legislature. So we aren’t getting much of anything else. If we had paid for them at the time, perhaps by shutting down the transit system, school system, etc, for couple of years, perhaps we wouldn’t be paying for them now. But that’s where the Comptrollers, actuaries, etc. come in with a claim that they “cost nothing.” Until they don’t. Metro-North costs $15.05 per trip/rider, and the average fare is $8.48. The LIRR costs $21.45 and the fare is $8.16. The subway costs $2.73 and the average fare is $2.05. The commuter railroads have an operating budget 70% the size of the subway’s but have 10% the ridership. The least the MTA can do for the city riders subsidizing these long rides is to open up the existing city stops with reasonable fares and frequencies, which can help balance out the high cost of long-distance peak commute service. There’s absolutely no excuse for off-peak fares to cost more than a subway ticket, and the numbers above suggest peak service should be provided as well even before waiting for MNR to bring travel times back down on the New Haven Line. The inability of our single party rulers to consider cost reform is why NYS, including NYC, is ultimately doomed to rust belt status. They’ve shown over and over again that they are willing to cut the pay and benefits of new public employees so low only grifters and incompetents can be hired, and then focus only on starting pay in their propaganda, using it as the measure of how much they have been cheated. Remember those $25,000 per year new NYC police officers, cut from a starting pay of $40,000? The union loved that one. Then there is Tier VI, which followed on retroactive pension increase after another for those cashing in and moving out for years and years. There is one party all right. Generation Greed. Dedicated bus lanes or maybe even eventually streetcars. Bike racks on busses. Bike racks near subway stops. An announcement system that works. 2) congestion tax should apply to ride share services only as they are the cause on the massive congestion increase. There are 100,000 rideshares on city streets. They are the congestion, they should pay the congestion tax. It is an easy integration with their app. When they have a rider in their car, they pay a congestion tax/toll. 4) limit commercial delivery hours and make designated parts of the commercial side of street parking 18 wheeler parking only for 1hr per day. 5) limit commercial parking to 1 hr. If they need more time, their businesses can pay for parking garages. The write it off, we don’t! 6) Where is the discount for Brooklyn residents using the Hugh Carey Tunnel? Staten Island residents get one for the bridge. 7) How about delivery bikes with electric motors. Those bikes are illegal in NYC anyway. Do they all have drivers licenses? Those bikes are electric motorcycles. Do I need a drivers license to drive a Tesla? Same thing! 8) Get rid of those useless CitiBikes and give our parking back! CitiBikes do nothing but put tourists who don’t even know how to walk in the city onto bikes with no helmets! 10) you asked for suggestions, let’s see how or, more to the point IF you respond! The MTA and city government have failed to respond to shifting travel patterns, and that helps explain why bus ridership is plummeting, according to a report from Comptroller Scott Stringer. Are Council Members Ready to Pay for Their MTA Wish List?